The upcoming episode of Star Plus popular daily soap Kasauti Zindagi Ki 2 is up for high voltage drama. Prerna and Anurag are happy to be together as they have finally confessed their love. Anurag and Prerna's this love is haunted by evil Komolika as she has her eye over Anurag. 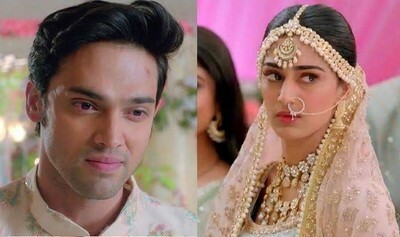 Komolika wants Anurag at any cost and is ready to give any cost for it that is even Mohini's life. Nivedita has always been against Prerna and accuses her for Mohini's detoriating state and calls Prerna a murderer. Here Mohini suffers major heart disease and thus is rushed to hospital where she is treated but here Komolika will play her game to turn situation on her side.